Just recently, I learned about someone whose baby was born with lead poisoning. The cause was traced back to the lipstick the mother wore during pregnancy. Then I heard about someone who had double the amounts of normal estrogen hormones in her body, even though both of her ovaries had been removed, and this was traced back to the perfume she wears each day (D&G “Light Blue”). These are just two little examples of how toxic chemicals in beauty products we use everyday can damage our bodies. Listen y’all, I knew that household cleaners and beauty products probably had bad things in them, but call it being naive—I had NO idea that they were actually this harmful. I thought, surely our country is regulating these chemicals so that I’m not actually absorbing or ingesting anything too terribly harmful, right? I was wrong. 1 in 2 men and 1 in 3 women will be diagnosed with cancer in their lifetime. Two decades ago, 1 in 20 women were diagnosed with breast cancer. Now, that number is 1 in 7 women! The even more shocking part? 90% of these women have no preexisting genetic link to the disease. Ok, that’s scary. 1 in 3 children are born with either ADHD, autism, severe allergies, or asthma. These numbers were not like this years ago. This is not about increased diagnosis. This is an issue rising at a staggering rate in the US. America has banned 11 ingredients used in personal care products. Now take Europe, for instance… they have banned over 1,300! …and they have spent the last two decades getting this under control so their citizens are not exposed to unsafe chemicals in their products. America, why are you so behind!!? And why have you not passed a federal law to regulate the use of unsafe ingredients since 1938!?? Over 80,000 new chemicals have been introduced into our personal care products since then—and most of them go by untested for safety at all. Companies are perfectly allowed to use known toxins—like those linked to cancer, reproductive issues, hormone disruption, etc—without getting in trouble. Our country is telling them hey, go for it—it’s ok! They are also letting companies market their products however they want. For example, the word, “natural,” on a product does not have to mean it actually is … check the labels, it’s often times a big marketing scheme! Then there’s companies that won’t even publicize their ingredient lists. And that’s perfectly ok too, according to our government. So here I am over here using Benefit Hoola bronzer every day, not thinking much about it other than the fact that it makes me look like I’ve been on a sunny vacation after I apply it on my cheeks. I really love that stuff and have for years. Well, I checked the ingredient list and one of the first ingredients I saw was Butylparaben, which I learned is scientifically proven to cause endocrine disruption. A very important part of the endocrine system is the thyroid, a gland I recently had to start taking medicine for every single day to regulate. So wait a second. I’m over here using products on my skin that potentially may be disrupting my thyroid’s ability to work properly? Seems a little twisted, doesn’t it? Of course, this one ingredient also has evidence of developmental/reproductive toxicity, cellular changes, and skin toxicity. And this is just ONE ingredient in this bronzer doing all of this! 13 of this product’s 29 ingredients are proven to be unsafe to our bodies—some of these ingredients have even caused cancerous tumors in animals at very small doses. And that’s just one little product in my “getting ready” routine. But wait, you only apply a little bit of bronzer. Just a couple spritzes of perfume. Body wash rinses right off in the shower before it has a chance to do any harm. Right? 60% of what we put on our skin is immediately absorbed into our bloodstream—and unlike with what we eat, our skin does not have a digestive system to break down and filter out certain ingredients. Plus, these toxic ingredients that are hormone disruptors can actually be more dangerous in low doses because they mimic the amount of hormones our bodies naturally produce (small amounts at a time). So your body may not be producing the right levels of hormones because these chemicals you’ve put on your skin are tricking your body into thinking it’s getting hormones already. Since that time, I’ve been a mad woman throwing out a huge majority of my personal care products—shampoos, body lotions, makeup, etc. If it has an ingredient in it that is known to be linked to issues like autism, ADHD, infertility, allergies, asthma, cancer, etc. (the list goes on), then I don’t want to use it. Plus, now I have my baby to think about. Surely you mommas out there can agree that it’s sometimes silly to think about all the things we are told to avoid while pregnant—lunch meat, soft cheeses, pumping gas, etc. But yet it’s “okay” to use beauty products known to cause developmental issues? No thank you. My beloved Dior Forever Foundation? It’s a goner. (tear.) My favorite perfume? See ya. I am replacing these products with new favorites that are safe. I realize that we are exposed to chemicals every day in what we eat, breath, in the furniture we sit on, basically everywhere in things we can’t control. But what I put on my skin is something I can control—and so that’s where I’ve decided to start. 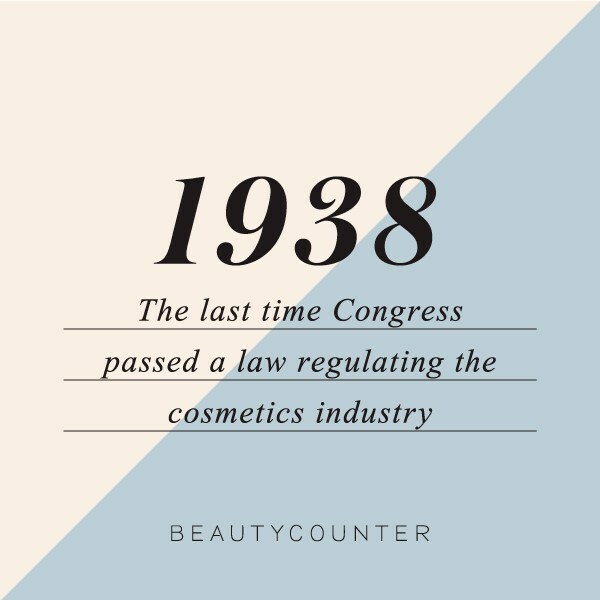 I’ve since explored my options on nontoxic personal care products and fell in love with Beautycounter, a company that has a mission of getting safe products into the hands of everyone. They have skincare, makeup, body care products, and a wealth of information on their website about toxic products and why they’re dangerous. I was actually first introduced to this company about a year and a half ago and have noticed their products on “celeb favorites” lists in magazines and on the news since then, but I didn’t know the good this company was truly doing until recently. This is not a natural/organic beauty company. I’ve tried those and honestly haven’t been impressed with the way they work. I just can’t sacrifice performance in products! 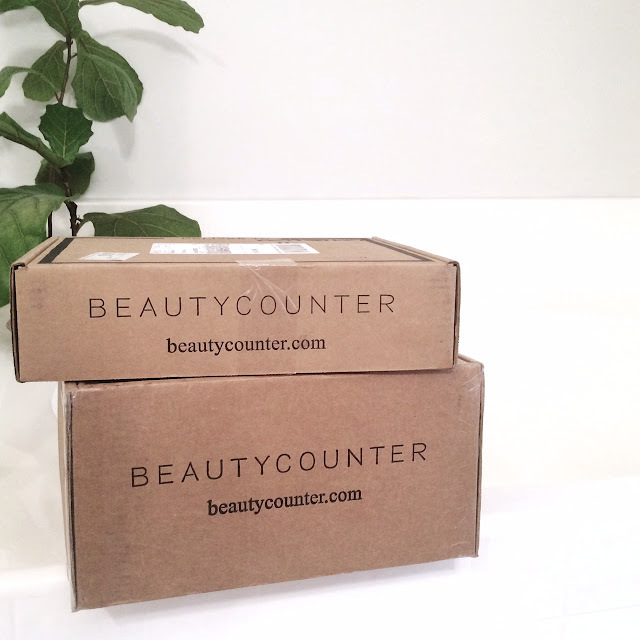 Beautycounter has ingredients in their products that you won’t be able to pronounce, but they are all SAFE! In fact, they have the strictest ingredient selection process in the industry, banning over 1,500 chemicals, all while ensuring their products perform and that they’re as indulgent as any luxe shampoo, lipstick, or oil on the market. Their Head of Creative Design, Christy Coleman, is a famed makeup artist and no product is added to the line without her loving it just as much or MORE than any other product she has ever tried. After all, she is using these products on her celebrity clients and can’t have them falling off their faces in a matter of hours. That’s why the line doesn’t certain products in it yet, like a mascara. Even after hundreds of takes, Christy won’t sign off on one until she absolutely positively loves it. This is important for someone who loves makeup and beauty products like me, because I need my products to WORK! I want to love the performance of my safe products just as much as I loved the way my former toxic products worked. So that’s why I started this journey. 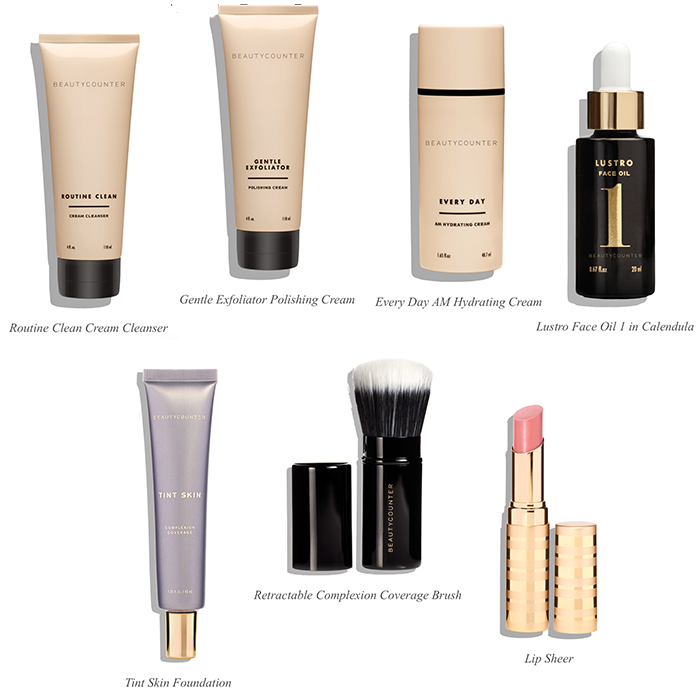 I’ve been testing out the Beautycounter skincare and makeup line and wanted to make sure I was totally on board with the products before bringing it up to y’all. And turns out, I love them. In fact, I am so drawn to their mission and products that I’ve decided to become a consultant for Beautycounter. I am not doing this to “sell.” I SWORE up and down that I would never become a consultant of any sort of product line because goodness knows I am not one to have “parties” that go along with selling things and I definitely don’t need to take anything else on, but I just HAVE to join this mission of getting safe products into the hands of everyone! That’s the reason I am signing on for this. I know there are so many people out there who are like I was and have no idea about the dangers of personal care products. If I can just get one person to “switch to safe,” then I know I made a difference. What does this mean for me and my blog? Well, for so long I ignored the fact that my products are unsafe for a few reasons. First, I really didn’t know any better. Second, I just couldn’t “lock” myself into one brand or one way of life when it comes to beauty because it’s such a big part of what I do between posting on this blog and my work as the beauty editor for The Everygirl. I thought, how on Earth could I promote “safe” beauty when I am in love with so many high end makeup products that I don’t want to get rid of and have to sample new products all the time for my job? So I chose to ignore it and play dumb. But now that I know all that I know, there is no way I couldn’t get on board with this company. Now that I know all of these statistics and facts about these toxic chemicals, there is no way I could possibly go on promoting unsafe beauty products to all of you. And there’s no way I could continue using them. I’m still sifting through my products—reading labels and tossing most of it. I have switched most all of my products to safe ones, but I will be up front with you. There are some things that I am still using that have fragrance (bad! more on that below) in them. I just haven’t found safe equivalents yet. I’m talking about hairspray and dry shampoo. You know I love my Batiste Dry Shampoo and I am unsure of what to get in it’s place. But I want to put that out there in the open because I want you to know that I am not going to be promoting products unless I love it just as much as my other toxic ones. If you see me using it or talking about it in a good way, it’s because I honestly would rather use it than my old products. The transition does not have to be overnight. Whatever you can do to switch to safer is a great start! You can learn more about this mission (or look over the amazing product line) at my website: beautycounter.com/meganstokes. Also on this website is our fully transparent ingredient list, as well as a list of ingredients that we will NEVER put in our products. Or, start by seeing how safe your own products are at www.ewg.org/skindeep/. This website is an amazing database where you can research products and specific ingredients to learn whether they are safe like I did. If your product isn’t in the database, then just google the ingredients of that particular product and type individual ingredients into the EWG search bar. For me, something harmful I noticed most often in the lists of ingredients was Fragrance—it’s in almost everything. It sounds so harmless, but it’s actually one word used to describe thousands of harmful ingredients that are hormone disruptors, allergens, toxic to our organs, and also to the endocrine system. The law does not require companies to disclose what makes up their own “fragrance,” so they are getting away with packing in tons of terrible chemicals that are doing major damage to our bodies and calling it just one simple word, like fragrance, parfum, or flavor. What’s scary is that fragrance was in almost every single one of my former products—from hair styling products to face moisturizer to makeup. I’ll share details about my new skincare routine soon, but I’ve been using the Essentials Line from Beautycounter. The packaging is gorgeous, isn’t it? It makes me excited to see it on my bathroom counter. I love the cream cleanser so much. It smells fresh (and not because of synthetic fragrance!) and it’s so creamy. I’ve also been loving the exfoliator. It’s super gentle, but helps slough off little pieces of dead skin. The every day hydrating cream is the perfect daytime moisturizer. I don’t think my skin has ever felt so balanced. It lays perfectly under makeup. Then just add a few drops of lustro oil in with it for night. You can buy the whole essentials face collection if you want to go all in and buy a set to save some bucks. As for makeup, thought you might like to know that Lauren Conrad’s favorite foundation is the tint skin applied with the complexion brush. I’m a big fan of the lip sheers, too. The color twig is perfect for every day. Oh, and there’s a deal going on right now with the eyeshadow duos where if you buy one, you can get a second for 50% off (through 11/23). Next Post what’s on my desk + a promo code you’re going to want! Thank you for this post! I'm ashamed to say, I've never even thought about how harmful beauty products can be…I'll definitely be looking into the beautycounter products. I'm sitting here in awwww !! You have me already considering discarding my current beauty products. This is so incredibly helpful ! Thanks for sharing, I'm heading over to your website now to look at products. I'm also excited to look into the Beauty Counter line after reading your post. And how rude of me – I was so focused on how much I agree with your post that I forgot to say: congratulations on your pregnancy! You are definitely glowing! Great information! Do you mind posting which chemicals are unsafe? Thanks for all of the info, Megan! Best of luck spreading the word! Love this! I'm a big beauty counter fan. I also love 100% Pure – they have great skin and hair products. I also have an app on my phone called Think Dirty. It lets me check on the ingredients in products (beauty and household) when I'm shopping. Wow, I've never even thought about this before! I stopped using hair products without all these things a long time ago, because I have afro-textured hair and all of the chemicals just make my hair dry and prone to breakage. But to think that the makeup we use is harmful, just …wow. Thank you for bringing this to my attention! Is there a way to get samples of the foundation or tinted moisturizer? I don't want to spend the money on the wrong shade! What shade are you using? Do you still wear your Armani Luminous Silk foundation? also my Laura Mercier tinted moisturizer that I wear everyday rated a 5 on the EWF site. It is difficult and intimidating to think of having to find a new foundation after finding one that works for you! Hi! Just wanted to let you know that the hyperlink doesn't link to your site 🙂 thank you for this post! I've been aware of how dangerous products are and am afraid to say I've buried my head in the sand. So ready to make the switch after reading this! What shade do you use in the tint skin? This is a great post! I love using safe products and this reminded me I need to restock on some beauty counter! I can't wait to shop with you! Pur Attitude has the same concept as this except it's all skincare. Wow! I am shocked that putting that stuff on my skin could cause that much harm!!! I will definitely be checking out the beauty counter products from you. I have Crohn's disease which is similar to UC and I already put horrible stuff in my body from meds (Remicade), I definitely don't need to add to the fire! Great post! 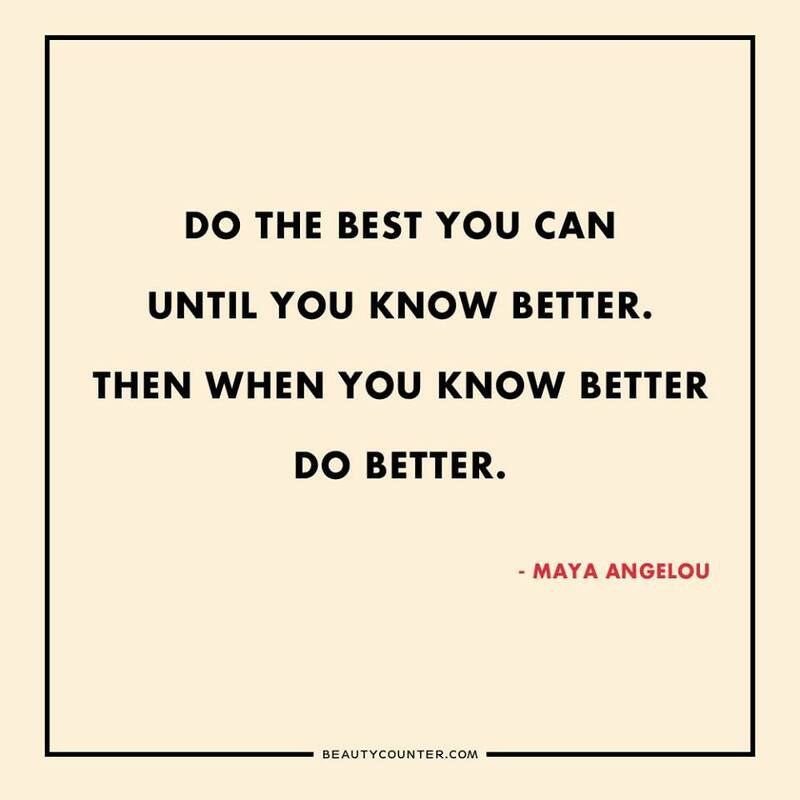 I am all for finding safe alternatives to the harmful ingredients found in our beauty products. However…I tried BeautyCounter last winter and my skin did not respond very well to it…I had rashes and red bumps all over my face 🙁 ! I used the Every Day and Every Night Moisturizer, Essentials cleanser, Tint Skin, and the Lustro Oil #2. I don't know if it is because safe products can be harsh on skin if you aren't used to it, but I was truly disheartened. I am not giving up though…did you experience anything similar at first? I am wondering if maybe it just takes some time for my skin to get used to the natural ingredients. Anythjng else that is more gentle that you would recommend? Just now reading this, but so excited for you & to keep up with your journey! I made the switch to safer products about a year ago, and I love it. I could go on and on but I'll save that 😉 It is very hard to throw out things you love so much, especially when you don't have unlimited funds to run out and buy something from a green beauty brand to replace it. many things I have thrown out but I'll also try to use something up. I know many will disagree with that but the product I "use up" are products that have less of a surface area to cover or won't be ingested easily….i.e. blush, bronzer. With all that being said, 75% of my beauty collection is now "green" and it won't ever be going back. I haven't tried anything from BeautyCounter but probably will after the holidays. Also, I love the brands YULI, May Lindstrom, ACURE, Honest Company (Jessica Alba's), KYPRIS, Jane Iredale, Josh Rosebrook, Herbivore Botanicals. Spirit Beauty Lounge and The Detox Market are great places to find green beauty brands! So many more boutique style stores are popping up as well. Theres also a great subscription service called Beauty Heroes that is new and absolutely incredible. Let me know if you want more info on that. It's my only sub. box and I will not give it up (full size products for $49.99/month). Okay so this WAS long, LOL! Just excited for you! Happy almost Thanksgiving! Thank you so much for this post! I’m going to look into Beauty Counter more. This is very eye opening. Do you have a safe body lotion that you’re using? Would love recommendations! How do you feel about great anti aging brands like SkinCeuticals and ZO Health?? ?